← Yippee! It actually works! 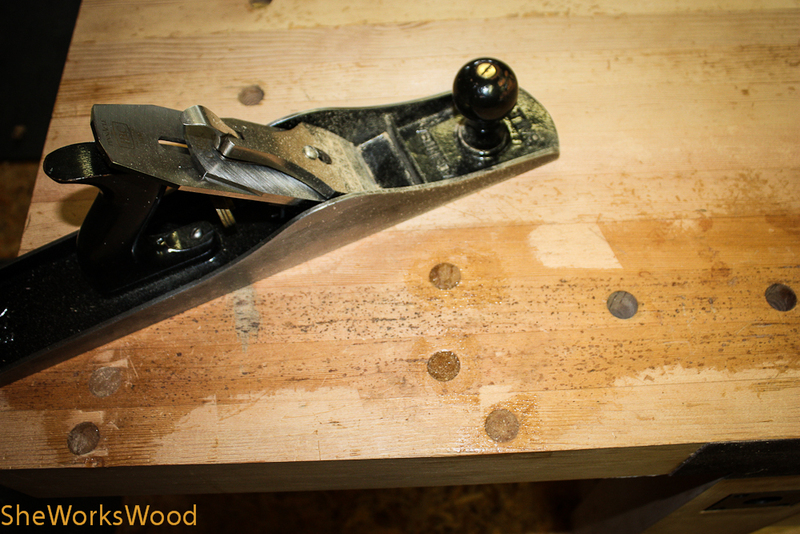 I wanted to talk a little bit about my workbench flattening and why I did it. So the why first. I built this top about a year and haven’t done THAT many projects on it so that it would need to be flattened again. But there were two other reasons to re-flatten at this time. I’d put a poly wipe on finish on the top and, in certain, areas black spots that look like wood mold had started to show up (see picture below). Here’s the now I’m better at planing part. 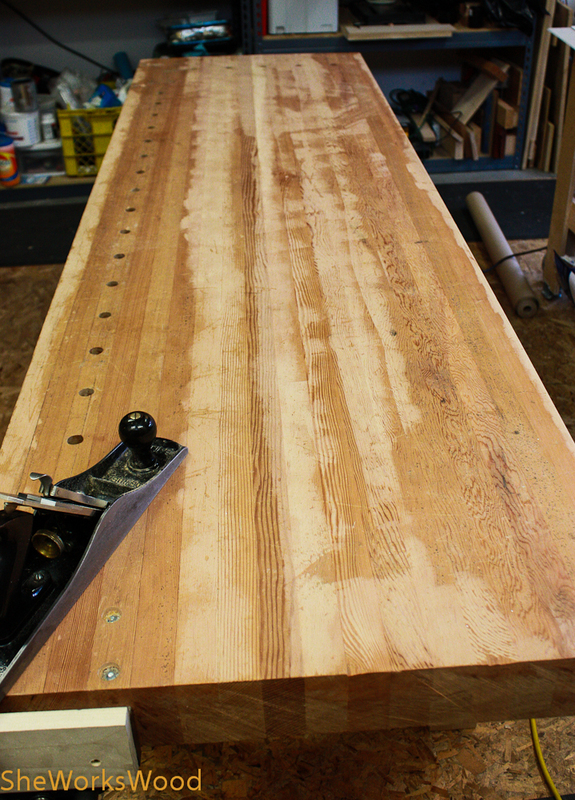 My workbench is about 7 1/2′ long and 26″ across which is a bit further than I can comfortably reach with my plane. As a result, I think, I ended up with a high spot in the middle. I was planing from both sides and I wasn’t apparently keeping my weight over the plane. 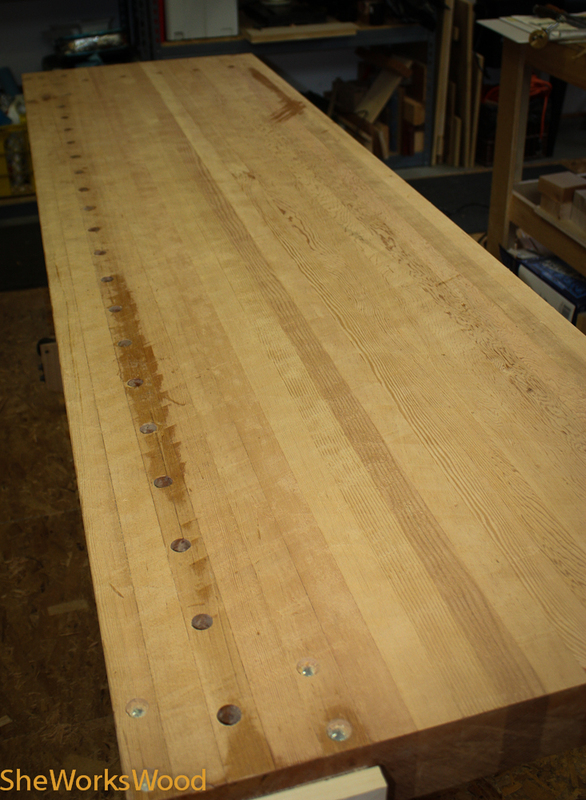 So, you can see the hump in the middle that resulted after my first couple of passes across the work bench. Initial planing reveals the hump. And here it is all flattened. 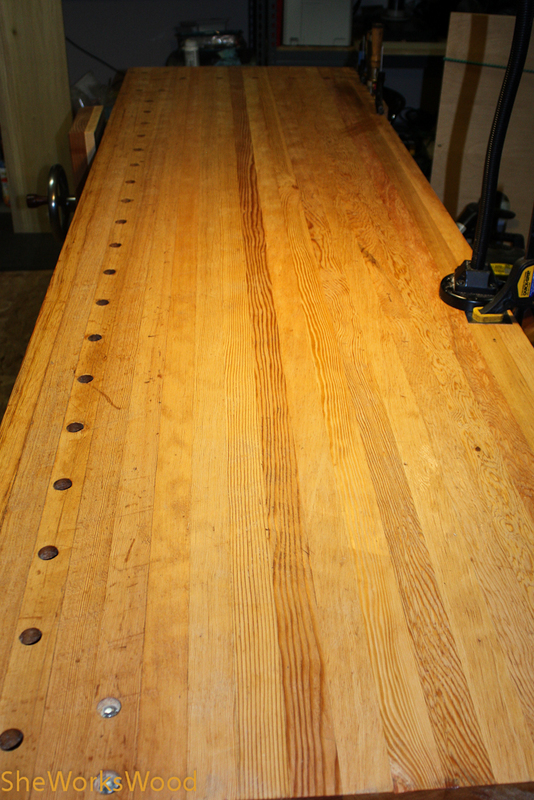 And finally, the top with with its new coat of boiled linseed oil.